Since 2011, Merja Myllylahti, a former financial journalist, has been tracking media ownership patterns in New Zealand. During that time, ownership has become increasingly concentrated in the hands of a few barons. What are the implications of this for her country? Are there cautionary lessons for U.S. media companies, which are going through a period of contraction and consolidation? What does consolidation mean for the future of news organizations around the globe, struggling to develop new and sustainable digital business models? Myllylahti, who worked for newspapers, digital and television news organizations in London 15 years before moving to New Zealand in 2009, is currently a researcher and project manager at the Journalism, Media and Democracy research center, based at Auckland University of Technology. She is the author of an annual New Zealand media ownership report and lectures in media communications and journalism studies at Auckland University of Technology and Massey University. Her research interests also include media transformation and digital media economics, news business models and paywalls. 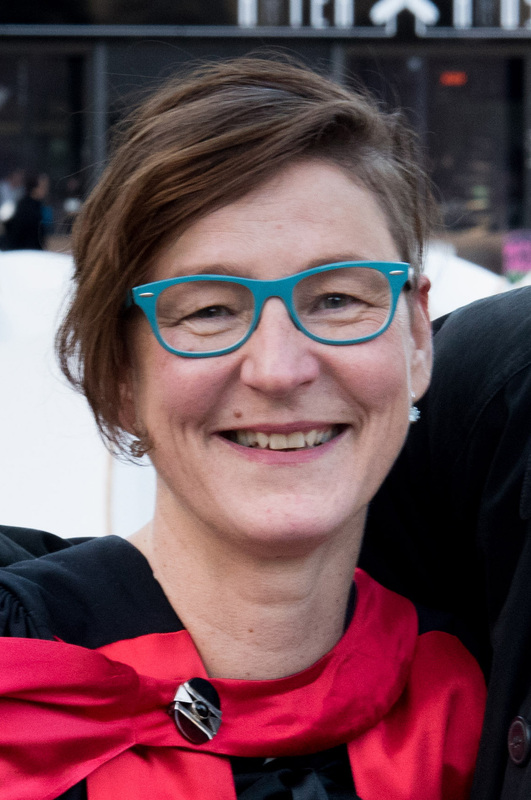 Her most recent publications include a book chapter “Newspaper paywalls and corporate revenues: A comparative study” published in Routledge Companion to Digital Journalism Studies (2017); and an academic article “What content is worth locking behind a paywall?” published in Digital Journalism (2016). To read her reports on New Zealand's media ownership, click here. For 6 years you've been researching and reporting on the shift in media ownership in New Zealand. What has changed? What are the implications of this change? During the past six years, the ownership of the leading commercial media companies in New Zealand has exclusively shifted to the hands of financial institutions. Consequently, we have seen heavy cost cutting and newsrooms have shrunk. Currently, the owners of the two leading newspaper publishers in New Zealand – New Zealand Media and Entertainment (NZME) and Fairfax Media - are trying to push through a merger of the two companies. If the merger goes through, the New Zealand newspaper market becomes one of the most concentrated in the world. This is not in the public interest as we already have a very concentrated media market that lacks in diversity. To learn more, you can access the New Zealand media ownership reports from 2011 through 2016 by clinking here. How does the New Zealand media market compare with that of the U.S.? How are the challenges and opportunities confronting news organizations in these two countries similar? Our media market is naturally much smaller than in the U.S.. We have five leading commercial news providers in the market. However, the problems news organizations are facing in New Zealand are very similar to those in the U.S. Newspaper revenues are shrinking, and publishers are struggling to gain digital revenue. There are some differences. For example, none of the leading newspapers in New Zealand have a paywall, but some local ones have introduced them. We only have one non-profit news venture, and new digital news companies are just starting to emerge. In broadcasting market, the pay television provider, Sky TV, is facing substantial competition from streaming services such as Netflix, and its revenue model is challenged. Let's focus specifically on legacy news organizations, such as newspapers. You've done recent research on news organizations that are "all digital." In the near future, will most newspapers around the world be "digital-only"? I have done in-depth research about business models of news publishers and their digital transformation. My PhD investigates this phenomenon in Australasian context. Currently I am researching digital revenues and expenses of news publishers, and I am interested to find out how the revenue structures support newsrooms in the future. My research paper, which examines if news publishers could abandon print and move digital-only, found that publishers are too print reliant to make such a move. For example, neither The New York Times Company or Gannett would be “ready” to move digital-only based on their digital revenue compared to their overall expenses. In 2015, digital revenue covered only 28 percent of the expenses of the New York Times and 26 percent of Gannett’s expenses. Neither of the two companies could move digital-only without further restructuring and cost cutting. Additionally, only 25 percent of The New York Times’ total revenue and 35 of Gannett’s came from the digital sources. This further confirms that the two companies are still very much print reliant in terms of their revenue. A copy of the report, “Should newspapers move digital-only: A critical evaluation of digital and print revenue and expenses” is available by clinking here. What's up next on your research agenda? I am currently finishing a book chapter about journalism and newsroom metrics, and co-authoring an academic article about how journalists use Twitter in local elections. One of the bigger research projects I am undertaking involves investigating how sustainable e-commerce ventures are for news organizations. Additionally, I’m researching funding models for local news organizations since we have some interesting case studies emerging in New Zealand. For example, some of the new media ventures are primarily funded by sponsorships.